Governor George Fergusson and Mrs Fergusson participated in the annual picking of Easter Lilies for Her Majesty the Queen. 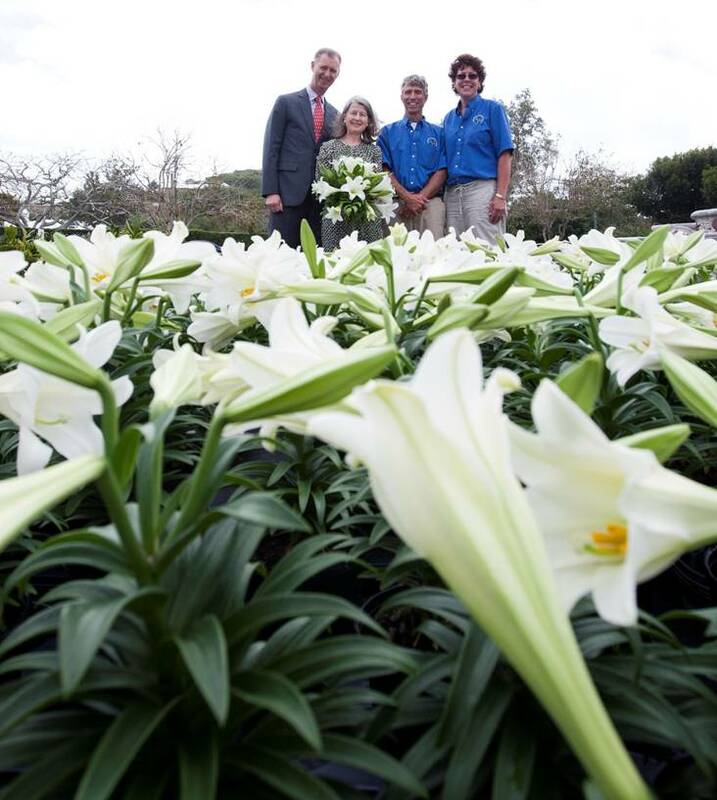 This year’s Easter Lilies were grown by Debbie and Alan Cameron for Aberfeldy Nursery in Paget. Government House said that Her Majesty’s Easter Lilies would travel on this evening’s [Apr 15] British Airway’s flight to London and should reach Windsor Castle on Wednesday. When we become Independent are we still going to send them? … with the richest woman in the world who never worked a day in her life and whose ancestors robbed resources and artifacts and people and colonized countries around the world and still hasn’t “shared” the spoils with their rightful owners. That instils pride?